If you have a good home business idea and want to know if it can lead to a successful business, a simple business feasibility study can help make that determination. A feasibility study looks at whether your home business idea can make money. To begin, formulate a business plan by determining the product or service you will offer and the way in which it will be offered, the price, business start-up, and management costs, and expected earnings. 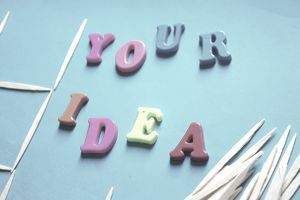 This information will help determine if your business idea makes sense. In addition, if you want to know what makes a successful home business and whether yours is poised to become one, carefully consider these questions. They can save you from investing in a poor home business idea. The success of your business is determined by whether people want to buy what you are selling. You'll have a difficult time selling wool sweaters to Phoenix residents in the summertime, but may be successful at selling flattering workout wear to fitness centers year round. Basically, you want your product offering to satisfy an unmet need for potential customers. Another point to consider is whether your product or service has something that will encourage a customer to return. There is an old marketing adage that states, “It costs 10 times more money to get a new customer than to retain an existing one.” It is a great idea to find ways to encourage existing customers to return for service updates, refills, and the newest products. Business success is also dependent on whether people are able and willing to pay for the product or service. There may be many people who want what you're offering, however, your business idea will not be successful unless they can pay the price. For example, many families would like to have a housekeeper, but many cannot afford it. Once you've determined there is a paying market, you need to figure out if you can actually make a profit. To start, calculate the cost of providing the product or service (e.g., supplies and overhead expenses) as well as your time and effort, and the desired profit to determine the price. Next, find out if customers are willing to pay that price. You may find that initially, the numbers don't work in your favor, however, if you can determine the problems and make the necessary changes, many times you can figure out a business model that works. How Much Competition Will You Have? Competition isn't bad. In fact, it's good because it indicates that there is a buying market and money to be made. But, if there is a lot of competition, you'll have to fight your way in to compete. In essence, you'll have to figure out how to attract another company's loyal customers so they prefer to buy your products and services. To attract customers and clients in a crowded market, you'll need to determine your competitive advantage, that is, how you set your business apart from the competition. This involves performing market research to understand what people want or need and then determining your unique selling proposition (USP) and possibly a specific segment of the market to target. There are a variety of ways you can set your products or services apart from the competition. You can offer a better price, a higher level of service, faster service, or more options. For example, most people need cars, but features and pricing set a Honda apart from a Porsche. Both can get people from place A to place B, but each offers unique advantages and disadvantages. Honda's are affordable and reliable. While a Porsche can be affordable, fun, and a status symbol, it's much more expensive.